The activity concentrations of natural radionuclides from the 238U and 232Th series and singly occurring radionuclide 40K have been assessed in most commonly used building materials in Kannur district, Kerala, using well established gamma ray spectrometry employing 5 cm × 5 cm scintillation NaI (Tl) detector. The results of the present work include activities of radionuclides viz. 40K, 226Ra and 232Th and associated radiological parameters. 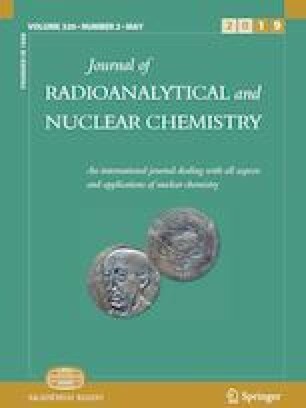 The important and expected significant parameters estimated from the activities were radium equivalent activity (Raeq), hazard indexes and dose parameters. The study indicates that all the estimated parameters are within the recommended safety limit except for average value of excess life time cancer risk, which is slightly higher than the world average value (0.29 × 10−3). The present investigation suggests that, the contribution to the radiation dose due to the use of these materials for the building construction is insignificant and do not contribute substantial radiation hazards to the occupants. The results of these systematic investigations are presented and discussed in the manuscript. The first author wishes to acknowledge the University Grants Commission for providing Maulana Azad National Fellowship to carry out the research work.